The inability to buy land hinders investment in agriculture. 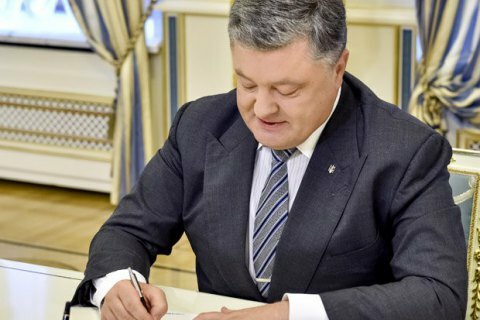 President Petro Poroshenko called in his annual address to the parliament on 6 September for the introduction of agricultural land market with the right of sale and purchase of plots. "The absence of the right to freely sell and buy farmland hinders investment into agriculture, narrows and violates rights of farmers and sets too low rent rates, drawing last kopecks out of their pockets. This is axiomatic. I know the public opinion in Ukraine on the issue and the position of the majority of parliamentary factions. I appreciate them and respect," the president said. He stressed, however, that it was the competence of lawmakers to resolve the problem: "You must not hide head in the sand, changing nothing. Instead, you shall work on the creation of the land market in Ukraine, although with all possible safeguards from any negative consequences. Ukraine's moratorium on sale of farmland will be in effect until the end of 2017. In the spring of 2016, the then Minister of Agrarian Policy and Food Oleksiy Pavlenko announced a pilot project for the sale of agricultural land. The ministry's leadership has changes since then and the fate of this project is still unknown.